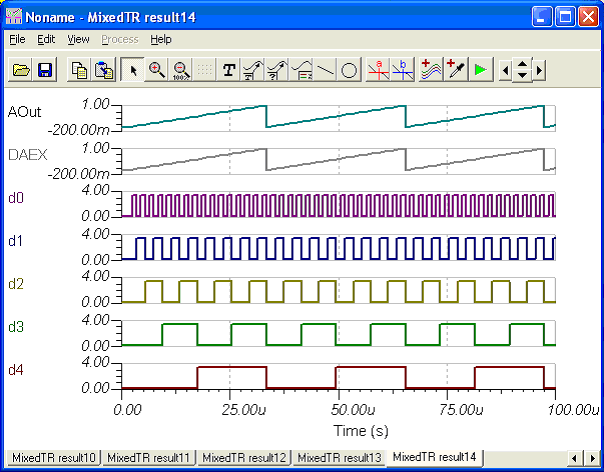 Waveform generation with VHDL and Spice subcircuits The following circut generates an analog sine or sawtooth signal depending on the status of the left SW-MODE switch. 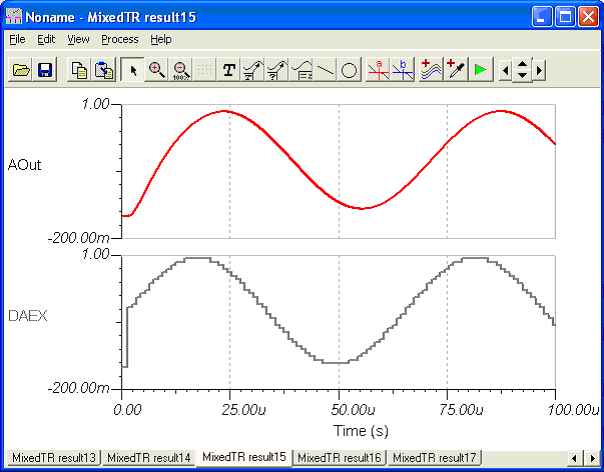 o see the effect of the analog filter, delete curves d0 to d4 from the diagram by clicking the curves and pressing the Del key. 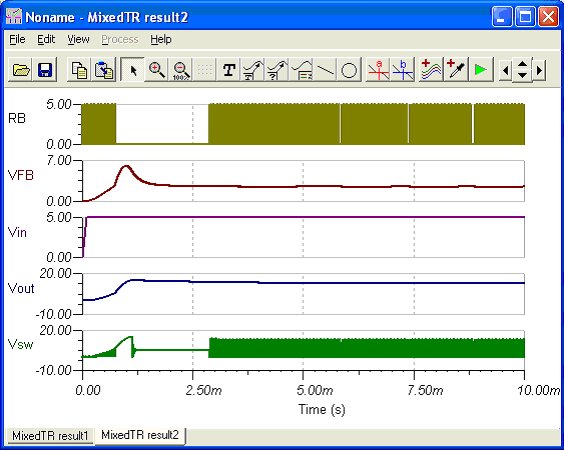 MCU controlled SMPS circuit The mixed mode simulator of TINA not only allows MCUs, but also any linear or nonlinear parts in TINA’s libraries. 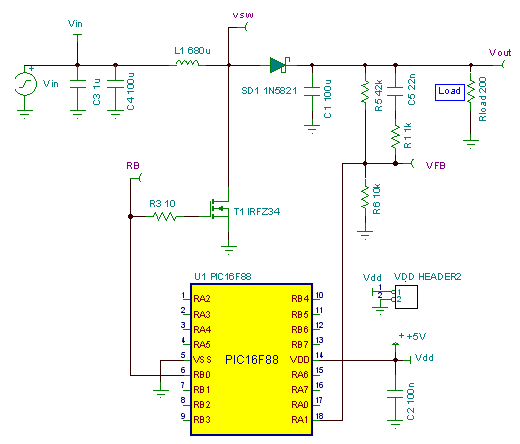 As an example, let’s study the following circuit, which realizes a DC-DC converter, converting 5V DC to 13V DC, and operating in boost mode. 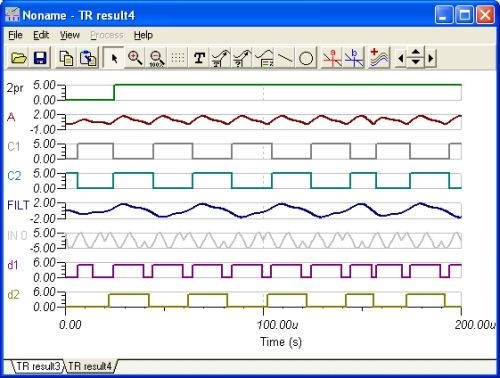 Mixed circuit example consisting of simple analog and digital components. You can display the results in one diagram or as separate diagrams shown below by simply appending a colon ( : ) and a number to each output name.